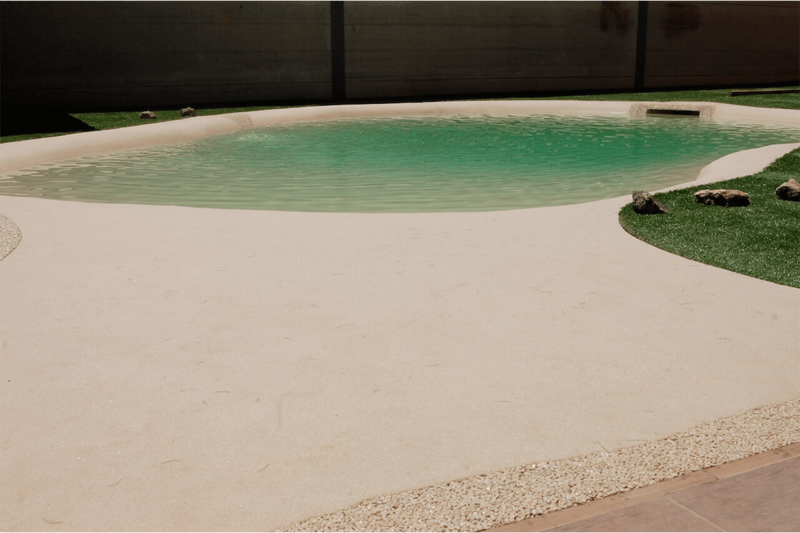 Highly resistant continuous paving offering good drainage. Can be adapted for multiple applications and, thanks to the range of natural colours available, offers the opportunity to create unique and original surface designs. 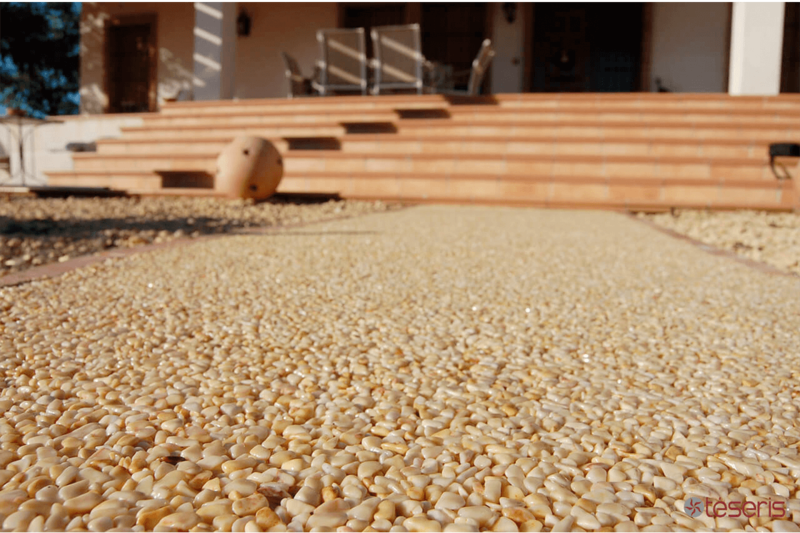 Thanks to the rounded pebbles, it is smooth and safe to the touch. Non-slip and does not turn yellow. Can be applied on top of existing paving without having to remove it. Easy to create shapes and motifs. Being continuous, it is very comfortable to walk on. Here are some photos of our installations with Arida where you can see a few examples of what can be done with them… your imagination is the only limit! 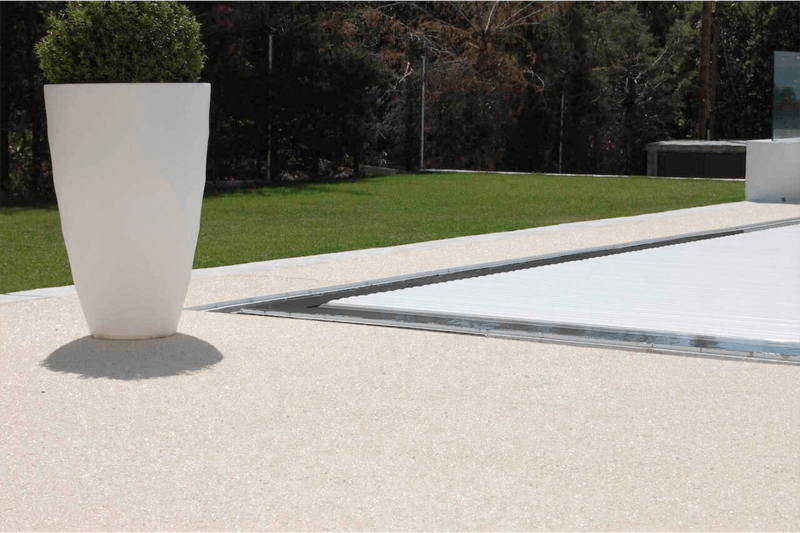 It is a continuous swimming pool lining, created with highly resistant materials and spectacular finishes that simulate the aesthetic and practical final touch to a sandy swimming pool. Its characteristics enable us to create the shapes and surfaces we desire, the only limit being our imagination. 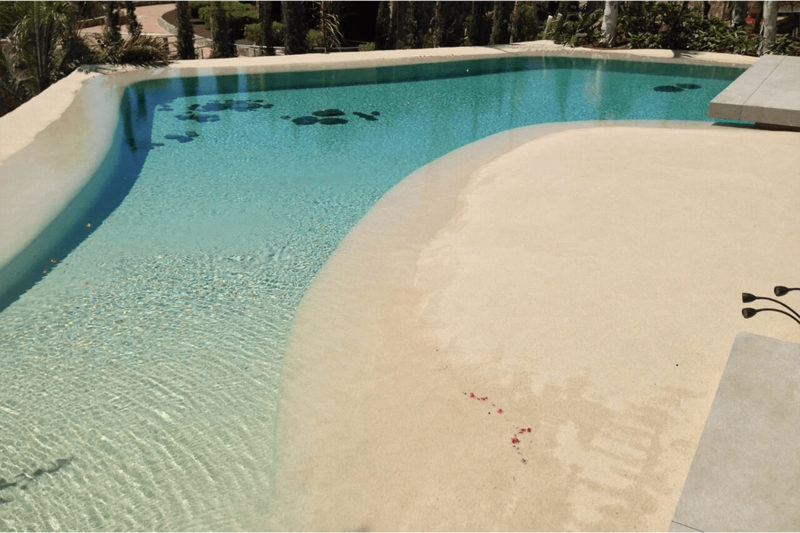 A lining that can be moulded to fit the shapes you want for your swimming pool. Can be applied to vertical walls. Continuous and without joints enabling us to create a realistic beach with the details we desire. Non-slip and safe: Slipperiness Index class 3. Suitable for contact with human skin. 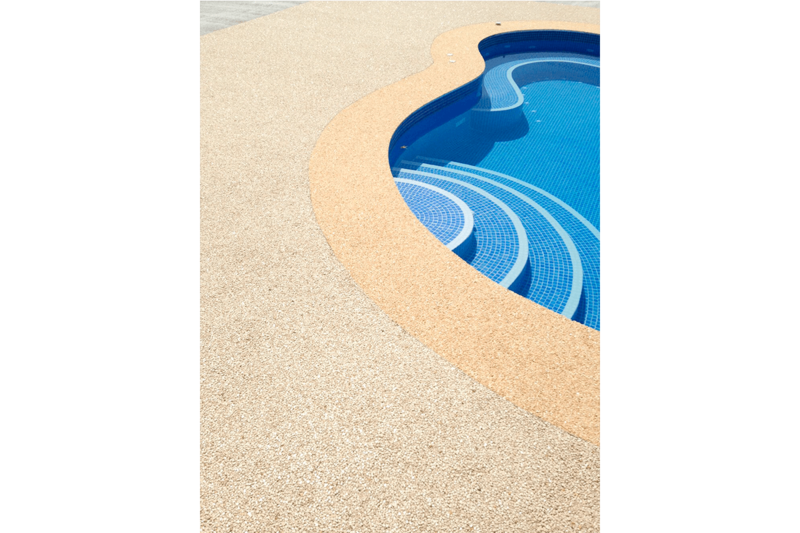 Resistant to chemical products used in swimming pools. Natural and durable colours, long-lasting. Here are some photos of our installations with Arenaqua where you can see a few examples of what can be done with them… your imagination is the only limit!